Family holidays don't have to be stressful just because you have kids in tow. And the great thing about living in the UK is, you have a huge range of European destinations on your doorstep, meaning you don't have to endure a long-haul fight with a tearful toddler or baby. To help you plan ahead for next year, here are some of the best destinations for young families. 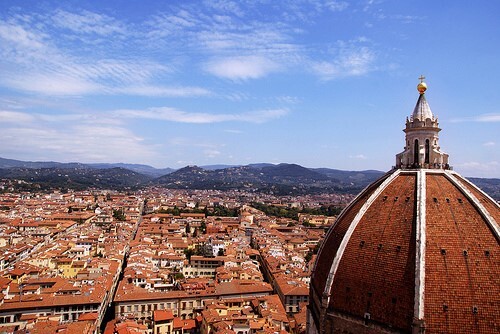 With an abundance of gorgeous architecture, good wine and bustling piazzas, Florence is high on the list of getaways that suit parents. But did you know that there's also plenty to do for the kids too? For a start, this is the birthplace of gelato, Italy's delicious ice cream. There are dozens of great gelatarias dotted around the city, including the Gelateria la Carraia, a favourite of locals crossing the Ponte alla Carraia, a bridge spanning the River Arno. Once you've got the gelato out of the way, head to the Gucci Museo. Budding fashionistas aged 5 and upwards can take special kid's workshops there to learn all about the evolution of fashion through the ages. There's also the Children’s Museum in Palazzo Vecchio which has a variety of costumes and exciting stories to tell about the history of Florence. If museums and ice cream still don't have the little ones exhausted, Florence offers some gorgeous squares and gardens for outdoor fun. Pitti Palace and the Giardino di Boboli offer lovely lush lawns, water features and grottos to play hide and seek. If, after all that, you're looking for something exciting, why not take the family to an Italian football match at the Stadio Artemio Franchi, which first opened in 1931. The grownups can partake in some Serie A betting to make things exciting whilst the kids cheer on their favourite players from the stands. Fiorentina, Florence’s major team, are at the time of writing around 9/1 in the odds to win the Serie A title, if you needed a pointer! The likes of Roma, meanwhile, are around 15/8. Crete is the largest of the Greek islands and has plenty to do for families, from great todler-friendly beaches to activities and historic sites. Head there from June all the way through to October for warm days and balmy nights. Besides historical gems to keep the adults entertained, there's plenty for children too. AquaWorld Aquarium in Hersonnisos is a small aquarium in the east of the island. It makes the perfect family day out for kids of all ages with snakes, eels, turtles, alligators, fish and lizards to keep the little ones enthralled. Hersonnisos also offers two water parks which kids are guaranteed to love. Acqua Plus has slides, a lazy river, a massage pool and a huge main pool amongst other attractions. Star Beach Water Park is free entry and offers more daring activities like water sports and bungee jumping. Elsewhere on Crete you'll find Limnoupolis Water Park in Chania, and the largest of the water parks on the island, WaterCity in Anopolis. 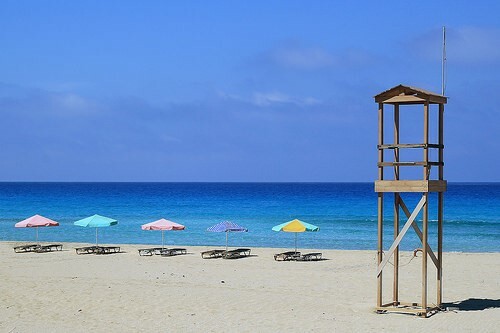 As for beaches, Crete offers calm waters that are perfect for toddlers and young kids to paddle in. Elafonisi beach in southwestern Crete makes for a great day trip and has a small island you can wade out to. Marathi Beach on the Akrotiri peninsula has perfectly calm, shallow water as well as some cosy cafes and restaurants in the town. 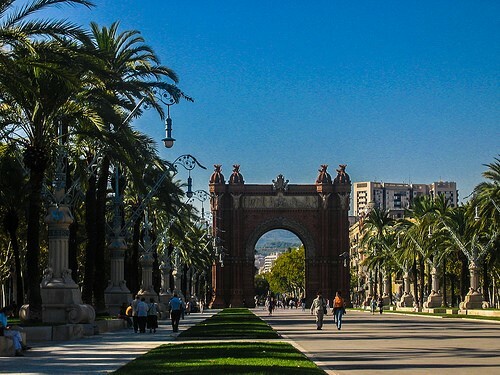 Barcelona may not be the first family destination you'd consider, but a closer look reveals a location that's teeming with kid-friendly activities and stuff to please the adults too. Spanish culture is wonderfully family-oriented. Pubs and restaurants are open long into the night and Spanish children are generally allowed to stay out later than their UK counterparts. In the city you'll find lots of activities that will keep kids happy, including a cable car ride out over the harbour and up to Montjuic mountain. Montjuic is home to a large castle and is also the site of the Olympic park, with some spectacular views of the city. Once you've descended the mountain you can go to see the "magic fountain" at night time, a huge water feature with music and a light show at Plaça Espanya. It has a magical atmosphere which kids will love. Europe's largest sea tunnel, a glass-covered walkway that takes you through the shark and ray-filled waters. Outside the city, you can take a train up Tibidabo mountain, where some fabulous views will greet you. The summit has its own little amusement park and the rides are made even more thrilling by the great height they are enjoyed from. Also a little bit outside of the city centre is Park Güell, a colourful fairytale park designed and created by the famous artist Gaudi. With free entrance, it's a great family-friendly option. Great suggestions. If only we had places like this to visit near to Australia. I made sure I did some travelling before I started having kids because there is no way in heck I'd be taking a little kid on a flight thats over 20 hours!